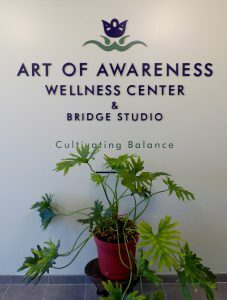 At Art of Awareness Wellness Center, safety, balance, and creative healing are the foundation of our work. We envision a healing journey in which health and wellness are a parallel process for the both the care receiver and a care provider. Click below to find out more about our staff, location, and unique vision for healing.